When the temperature drops, the air becomes crisp, and leaves turn amber red and burnt orange, that means it is October in Cleveland and it’s time for pumpkin everything! While I am not a pumpkin spice kind of girl, I do love pumpkin beer!  We do not serve pumpkin beer at Der Braumeister Restaurant, we focus on Oktoberfest and its celebration of Märzen beer and Fest beer. There are three American craft pumpkin beers I would suggest to anyone: Elysian’s Night Owl Pumpkin Ale, Brooklyn Brewery Post Road, and Fat Head’s Spooky Imperial Pumpkin. The tradition of pumpkin beer dates back to the colonial days and Brooklyn Brewery brews beer using old world methods for its Post Road Pumpkin Ale. This pumpkin brew has 5% ABV but still tastes like a beer. The initial taste is creamy, then it bites like a beer at the back of the throat. A caramel taste becomes evident a few sips in. It is a light amber and its spices and sweetness are subtle. Elysian was my first pumpkin ale, I can admit it was only two years ago! My rep brought in the bottle with the simple graphic of a creepy yellow eyed owl, I was hesitant, as a self-proclaimed beer purest, but I loved it! Maybe it was the Munich malts or the perfect 6.7% ABV. Despite the ginger and cinnamon spices, it sips soft like a true ale. At first it tastes of creamy pumpkin pie, with slightly bitter aftertaste. The color is perfect, with a cloudy burnt orange, it looks like autumn in a glass. Lastly, our local choice is a boozy 9% ABV pumpkin beer from Fat Head’s. The high carbonation finishes with a slight roasted malt taste. With any high ABV beer you get lots of malt. Brewed with German malts, this contributes to its taste and its dark amber color. If you go local for pumpkin beer, go with Spooky Tooth Imperial. Like Linus in his in his pumpkin patch, there are many pumpkin beer options. “Each year, the Great Pumpkin rises out of the pumpkin patch…” Unlike Linus, you don’t have to wait out in a field to find the perfect option, and you can start by trying these three! Happy pumpkin (beer) spice season, and as always, Prost!